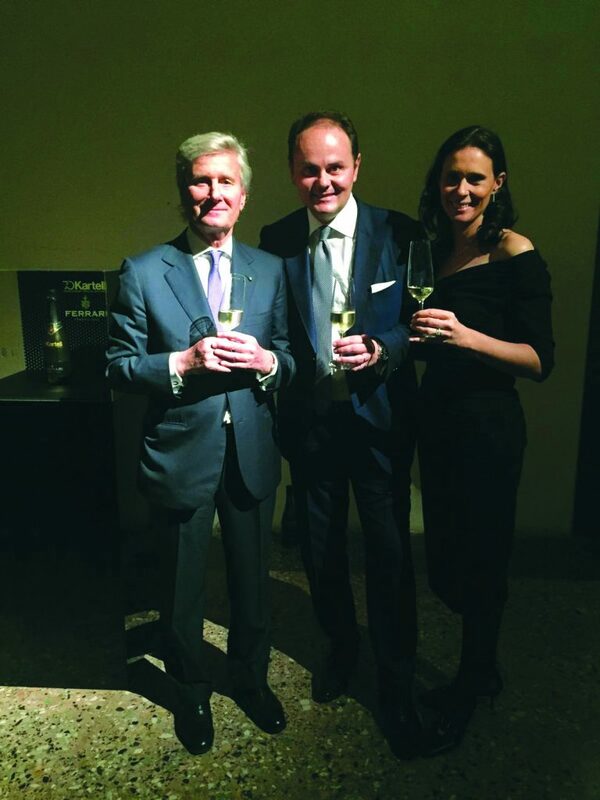 The new cuvée is born from the collaboration, in the name of the combination between gusto and design, of two companies that share the passion for the excellence, innovation and Italian style. 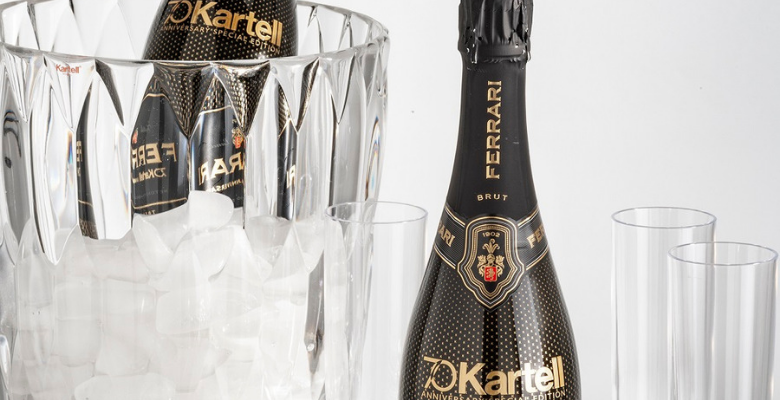 Kartell chooses Ferrari to celebrate its seventieth anniversary. 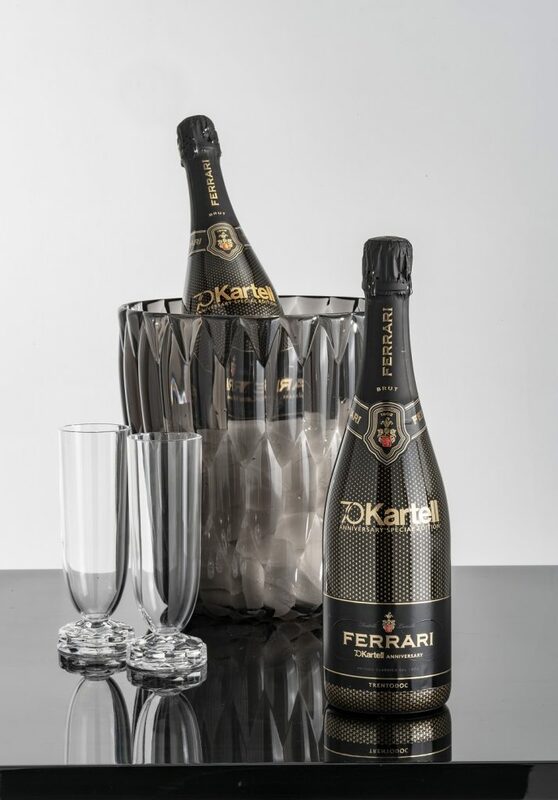 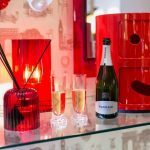 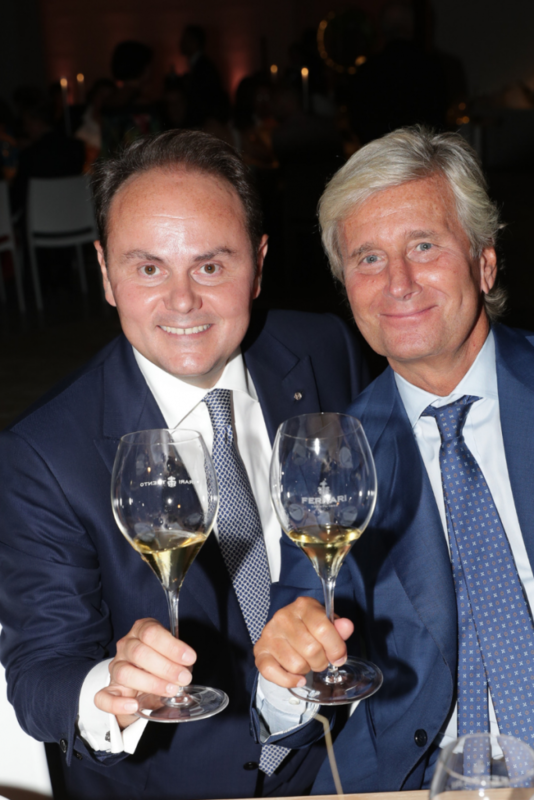 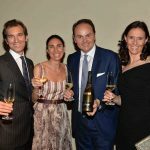 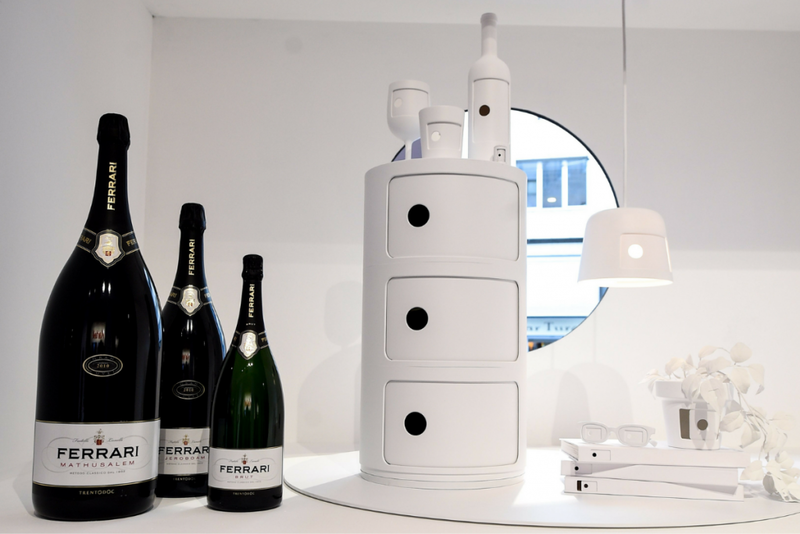 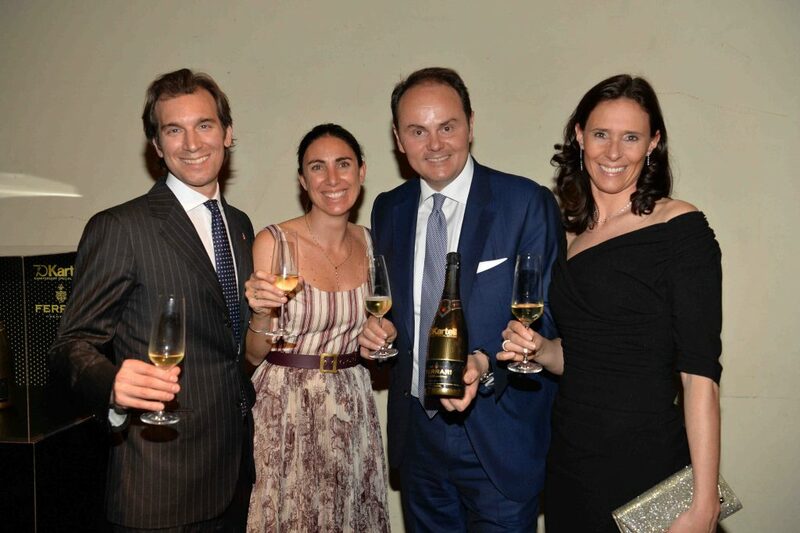 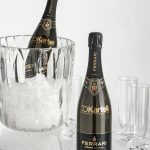 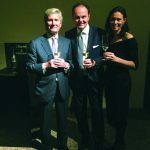 They not only favoured the Italian bubbles par excellence to make a toast during many of the events they scheduled, but also to create a Ferrari’s special edition. 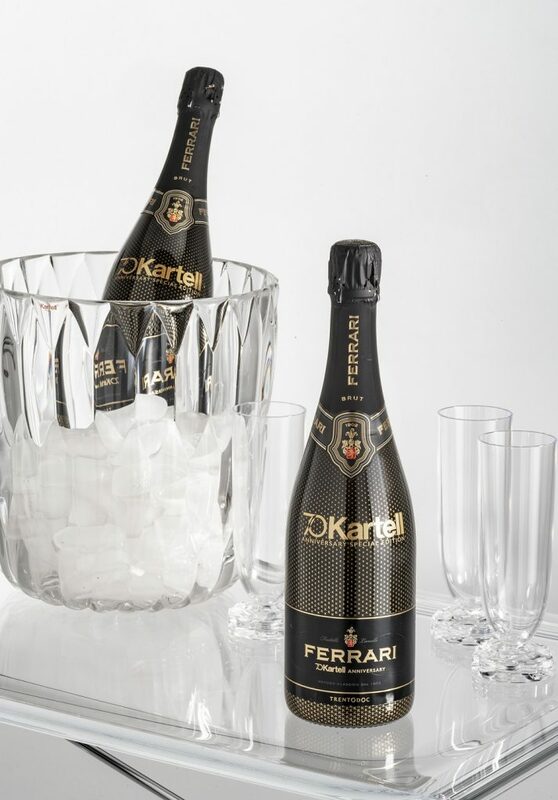 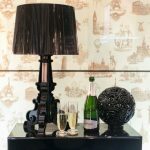 During the Salone del Mobile, the “Ferrari Kartell70” will make its debut – a total-black customized cuvée with a refined texture representing tiny golden “Ks”. 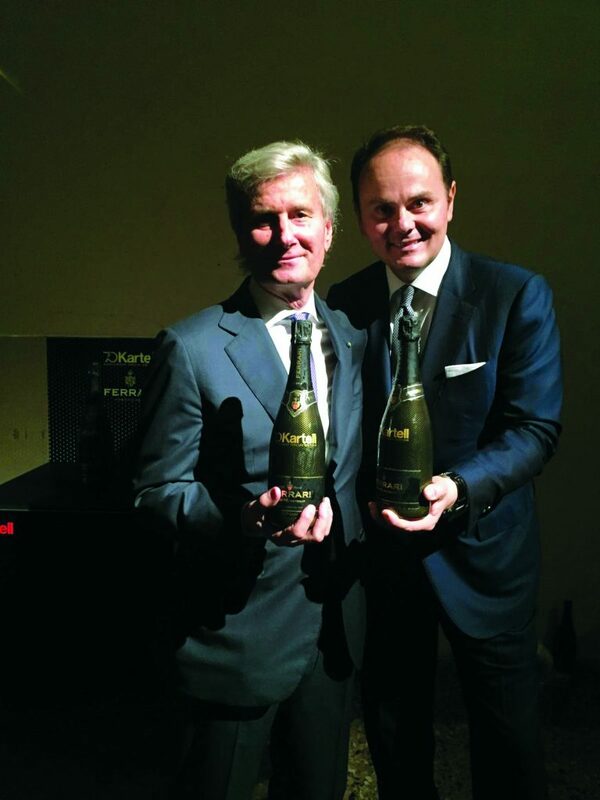 A fresh and elegant Trentodoc Blanc de Blancs, the product of 100% Chardonnay grapes cultivated at the foot of the mounts of Trentino and aged on the yeasts for over 36 months. 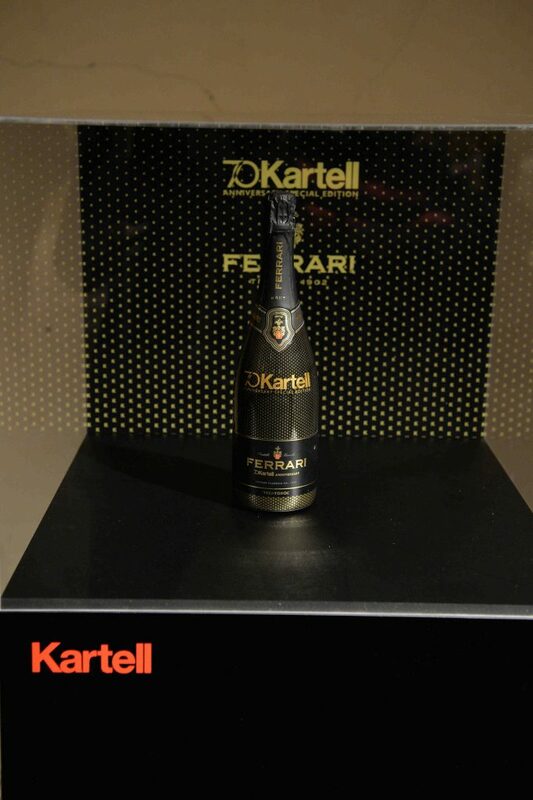 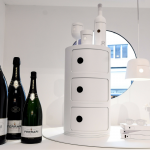 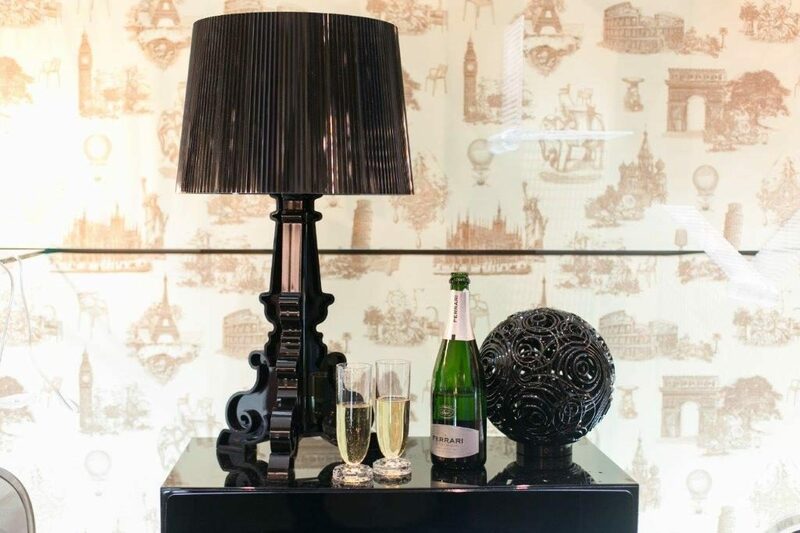 There will be 1949 bottles only, to pay homage to the year of foundation of Kartell. 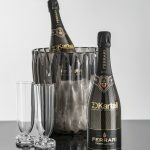 From April 10th, you can buy it at Eataly, Peck, Rinascente of Milan or online on Tannico. 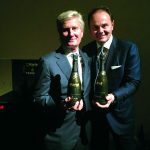 The partnership between the two companies began years ago. 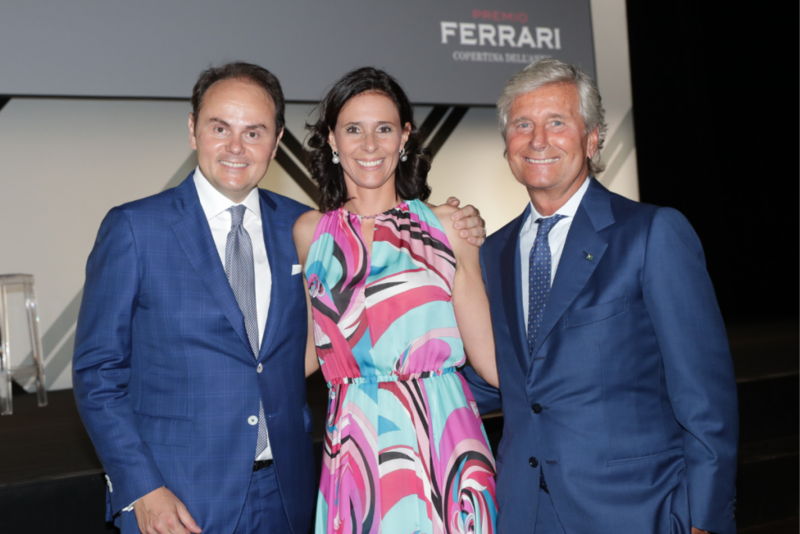 They share values like their family history and their passion for the excellence, innovation and Italian style, distinctive features that have let them become ambassadors of lifestyle and creativity in Italy. 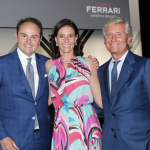 Furthermore, both are part of Fondazione Altagamma, a foundation where the best brands of the Italian cultural and creative industry gather together. 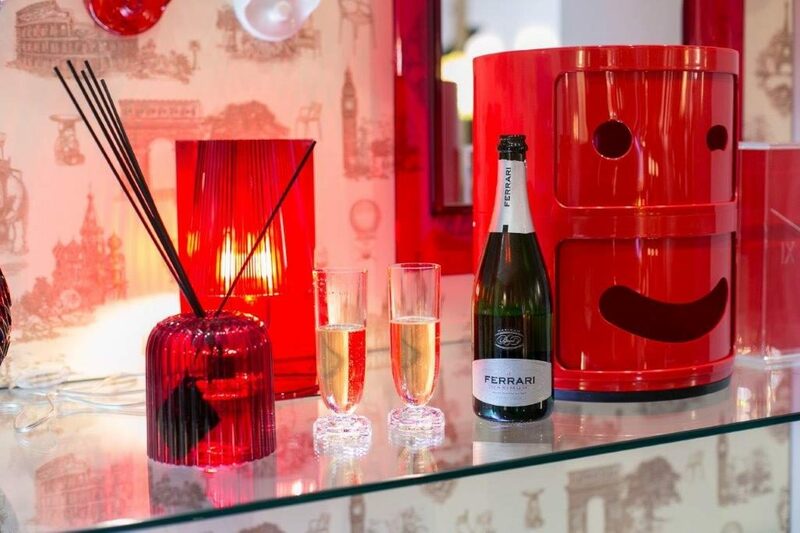 From 10th April to 12th May, Kartell’s iconic products are celebrated at the exhibition “The Art Side of Kartell” by Laviani and Rita Selvaggio, in the halls of Palazzo Reale in Milan. 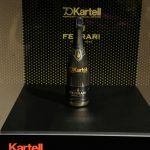 The exhibition was inaugurated with glasses of Ferrari.